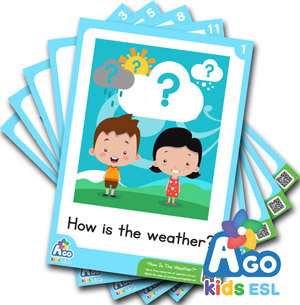 Get the free ESL flashcard pack to go along with the BINGOBONGO Rock song, “How Is The Weather?” Use these flashcards when teaching the different kinds of weather. Student’s love to make gestures for the weather like “sunny,” “cloudy,” “rainy,” etc. Cute, colorful, and, best of all, free! 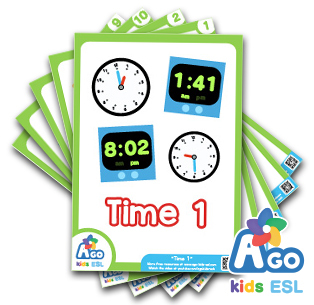 SKU: CD1-04-FCP Category: Free ESL Flashcards Tags: BINGOBONGO Rock Vol.1, How Is The Weather? 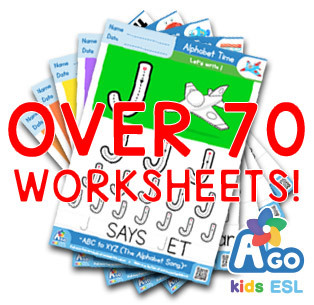 Download the free ESL flashcard pack for the song, How Is The Weather? Practice how to say “How is the weather?” and how to answer, “It’s sunny. I’m great today.” Students can learn how to talk about the different kinds of weather, as well as express emotions based on the weather.